A Pokmon that is said to live in a world on the reverse side of ours. It appears in an ancient cemetery. Dragon Breath Dragon Special 60 100 20 1 May paralyze opponent. Scary Face Normal Status 0 100 10 1 Sharply lowers opponent's Speed. Ominous Wind Ghost Special 60 100 5 10 May raise all user's stats at once. Shadow Sneak Ghost Physical 40 100 30 19 User attacks first. Ancient Power Rock Special 60 100 5 20 May raise all user's stats at once. Destiny Bond Ghost Status 0 0 5 24 If the user faints, the opponent also faints. Shadow Force Ghost Physical 120 100 5 40 Disappears on first turn, attacks on second. Can strike through Protect/Detect. 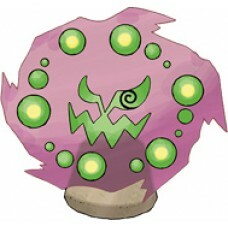 Hex Ghost Special 65 100 10 50 Inflicts more damage if the target has a status condition. Heal Block Psychic Status 0 0 15 50 Prevents the opponent from restoring HP for 5 turns. Earth Power Ground Special 90 100 10 60 May lower opponent's Special Defense. Slash Normal Physical 70 100 20 70 High critical hit ratio. Shadow Claw Ghost Physical 70 100 15 80 High critical hit ratio. Aura Sphere Fighting Special 80 0 20 90 Ignores Accuracy and Evasiveness. Calm Mind Psychic Status 0 0 20 TM04 Raises user's Special Attack and Special Defense. 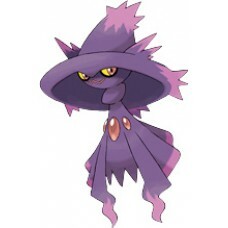 Psychic Psychic Special 90 100 10 TM29 May lower opponent's Special Defense. Energy Ball Grass Special 90 100 10 TM53 May lower opponent's Special Defense. 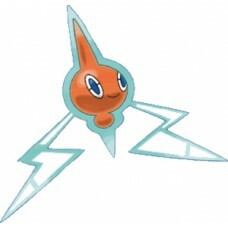 Charge Beam Electric Special 50 90 10 TM57 May raise user's Special Attack. Will-O-Wisp Fire Status 0 85 15 TM61 Burns opponent. Shadow Claw Physical 70 100 15 TM65 High critical hit ratio. Payback Dark Physical 50 100 10 TM66 Power doubles if the user was attacked first. Stone Edge Rock Physical 100 80 5 TM71 High critical hit ratio. 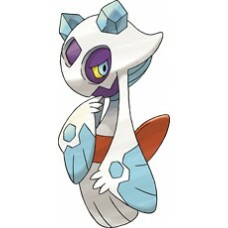 Dark Pulse Dark Special 80 100 15 TM97 May cause flinching. 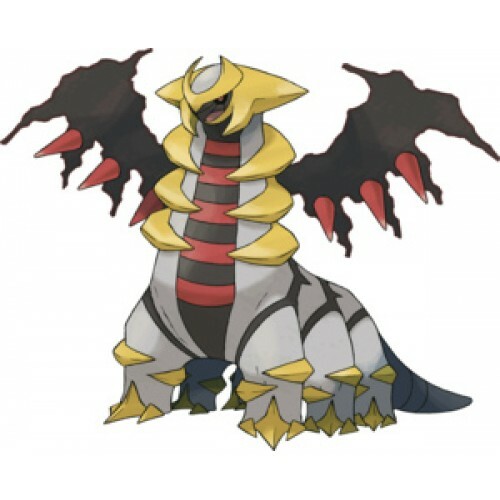 Generate your own Giratina qr code.